For over 100 years, TCAA has been dedicated to promoting the ceramic tile/stone industry and to ensuring that our members have the information, skills and tools needed to ensure the highest levels of professionalism, reliability, skilled craftsmanship and technical performance in the industry. When you join TCAA, you take a stand for quality in your industry. You also gain access to superior training, idea-sharing, new technologies and resources that help you build your business, while providing best-in-class service to your customers. 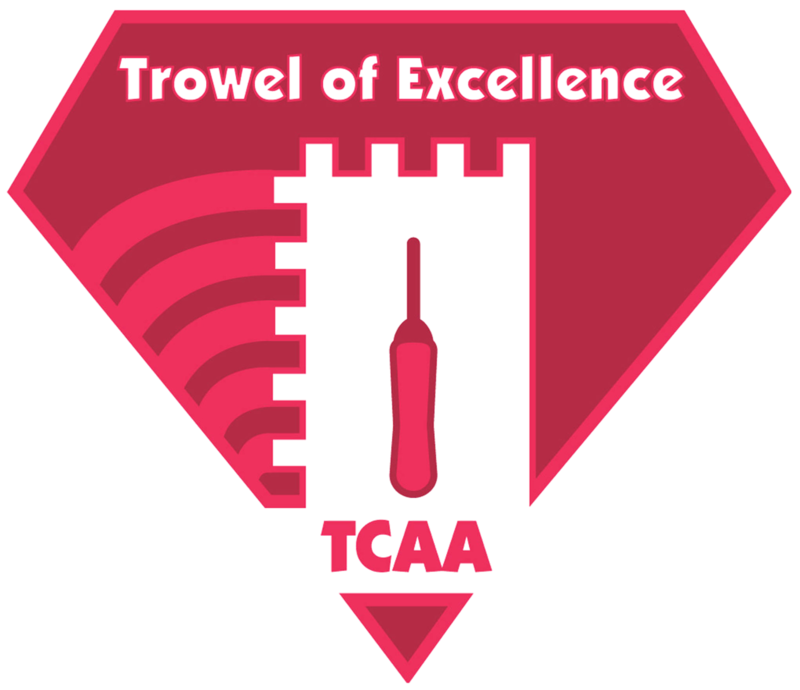 * Trowel of Excellence™ certified contractors employ only the best trained and most knowledgeable installation professionals and demonstrate their commitment to performing at the highest levels of industry standards, ethical business practices and financial responsibility on each and every job. "